1. Put the milk in a wide heavy pan and bring it to boil over medium heat, stirring constantly. 2. Now lower the heat and boil the milk for about 30 minutes, stirring continously till the consistency of the milk becomes little thick. Stir the sides of the pan constantly to avoid scalding. 3. Then add sugar, finely chopped almonds and pistachios, tejano and saffron. 4. Let the milk boil for about 15 minutes till the almonds and pistachio are cooked. Pistay-Badam jo Kheer can be served hot or cold according to individual preference. 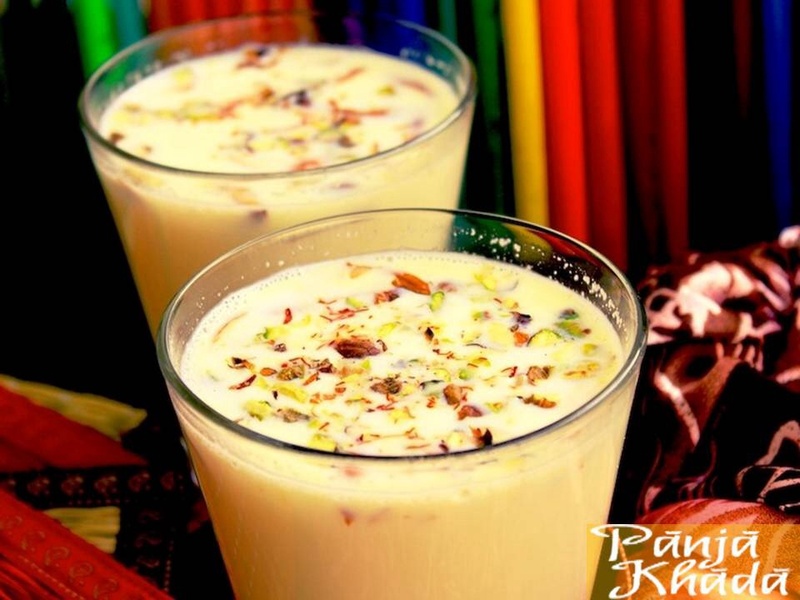 Pistay-Badam jo Kheer is also used for auspicious ceremonies. It is served hot during the Chhathi ceremony (naming ceremony) and is also called “Chhathi jo Kheer“. It is served at room temperature for the “Kheer Piyaran” ceremony during the pre-wedding rituals of Aacha Sathairo.